Nations Rush Ahead With Hypersonic Weapons Amid Arms Race Fear The U.S., China and Russia have stepped up efforts to develop hypersonic weapons, which are capable of speeds five times the speed of sound and could change the face of warfare. The X-51A Waverider was a prototype hypersonic missile capable of flying at Mach 5.1 for hundreds of miles. The Air Force is stepping up its development of similar weapons. Over the past year, the U.S., China and Russia have all stepped up efforts to develop a new kind of missile, a weapon that can fly faster and farther than almost anything in existence. Known as a hypersonic weapon, it would travel at five times the speed of sound or more. It could strike at a target while evading missile defenses and hit almost without warning deep inside enemy territory. 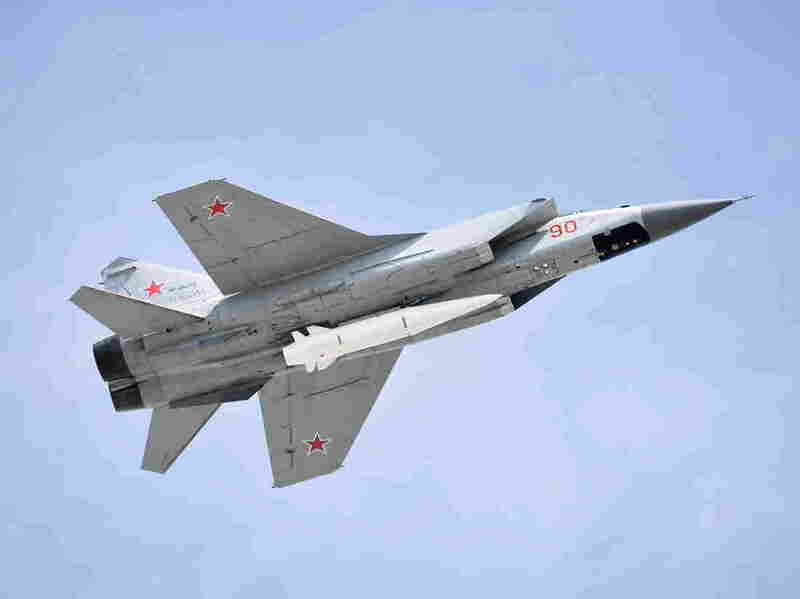 In March, Russia announced it had tested a hypersonic missile. The past year has seen a flurry of hypersonic testing. In March, Russian President Vladimir Putin announced his nation had successfully tested a hypersonic weapon known as the Kinzhal, the Russian word for dagger. In August, China said it had conducted the first successful tests of a hypersonic prototype called Starry Sky 2. It flew for more than five minutes and reached speeds above 4,000 mph, according to state media. These programs are just getting started, says James Acton, a physicist at the Carnegie Endowment for International Peace who has studied hypersonics. "Over the next few years we're likely to see a lot of testing," Acton says. Last month, Mike Griffin, the Pentagon's undersecretary of defense for research and engineering, said he was worried the U.S. was losing its edge in hypersonics. "We did the groundbreaking research. They've chosen to weaponize it. We need to respond," Griffin said at a forum on missile defense on Capitol Hill. The U.S. is now in the process of stepping up its hypersonic research. This year, the Air Force awarded $1.4 billion in contracts to Lockheed Martin to begin working on air-launched hypersonic weapons. Other agencies, such as the Defense Advanced Research Projects Agency, are also working on hypersonic weapons. 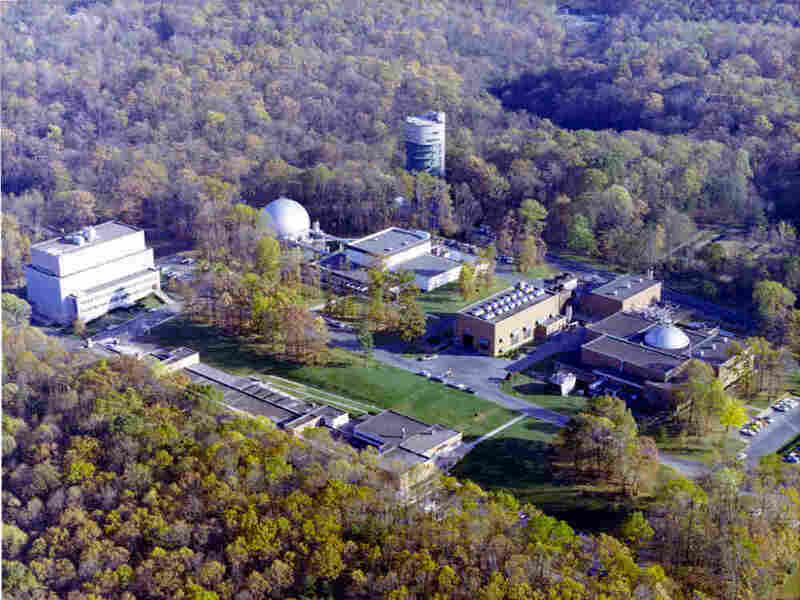 Hypervelocity Wind Tunnel 9, outside Washington, D.C., is one place the Air Force carries out tests of prototype hypersonic weapons. Some of the work goes on at places like the Air Force's Wind Tunnel 9, located just outside Washington, D.C. The day I arrived to visit the tunnel, classified tests were underway. Tunnel director Dan Marren only allowed me into the atrium, where models of various missiles and spacecraft the tunnel had tested were on display. Among the models is a sleek, silver wedge with a spine down its center. "It's called a Waverider, which is a fancy way to say that it rides on its own shock wave," Marren says. The wedge-shaped warhead would be put on top of a rocket and fired at enormous speeds to the very edge of space. Then, it would detach from the rocket and glide to its target. Unlike intercontinental ballistic missiles, which travel at similar speeds, the Waverider could potentially maneuver on its way down. "This vehicle would be able to not just come from space, but be able to turn and bank and fly almost like a real airplane," Marren says. That's the real appeal of hypersonic weapons. China and Russia are afraid the U.S. can shoot down their ballistic missiles with missile defense. A hypersonic weapon could swerve or take a round-about route to the target, while still going incredibly fast. "You can maneuver around surface-based radars and come in and attack the gaps and seams of air and missile defenses," says Tom Karako, a missile defense expert at the Center for Strategic and International Studies. "That's desirable to our adversaries." A Russian MiG-31K fighter jet with a hypersonic missile flies over Moscow's Red Square on May 9. There are still some big technological challenges to building these weapons. Pushing through the air at five or six times the speed of sound generates a lot of friction. And friction means heat. At hypersonic speeds, steel turns soft like butter. The Air Force tried to build hypersonic airplanes in the 1960s. They kept melting. But Acton says advanced materials and supercomputers are helping hypersonic development. "We are seeing Russia, the United States and China all conducting hypersonic tests," he says. "I would be surprised if there were not hypersonic weapons deployed within the next decade." Karako says that in many ways, hypersonic weapons are just the next generation of missiles. "I don't think this is the sort of thing we should panic about," he says. Just as crossbows eventually led to ballistic missiles, hypersonics may simply be the next step. "This is many ways the natural order of things," Karako says. 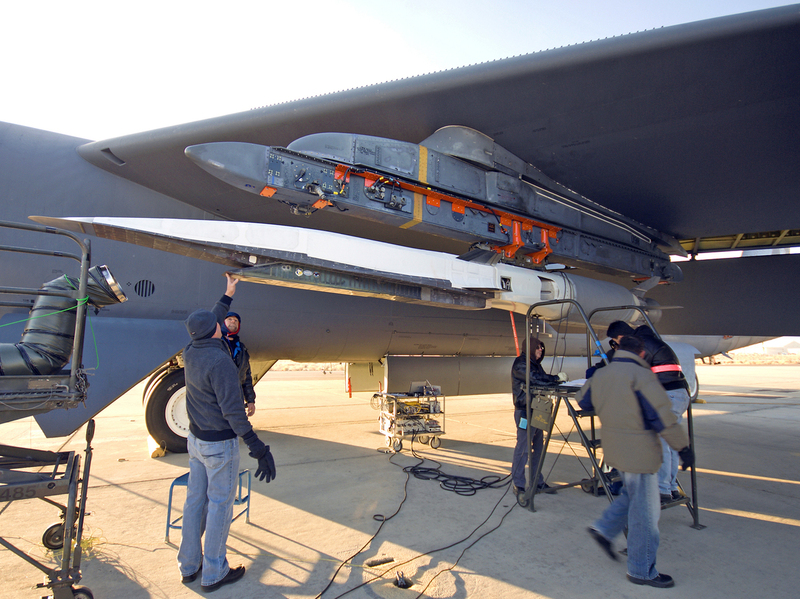 But others see hypersonic weapons as something different. A recent study by the Rand Corp. warned that the high speeds and stealthy nature of these missiles could increase the chances of accidental war. It recommended controls on hypersonic technologies to limit their spread. Given the potential dangers, Acton warns that the U.S. should be careful and deliberate in its development of these new weapons. "I don't think we should develop hypersonics, just because somebody else is doing it," Acton says. "That's just an arms race."